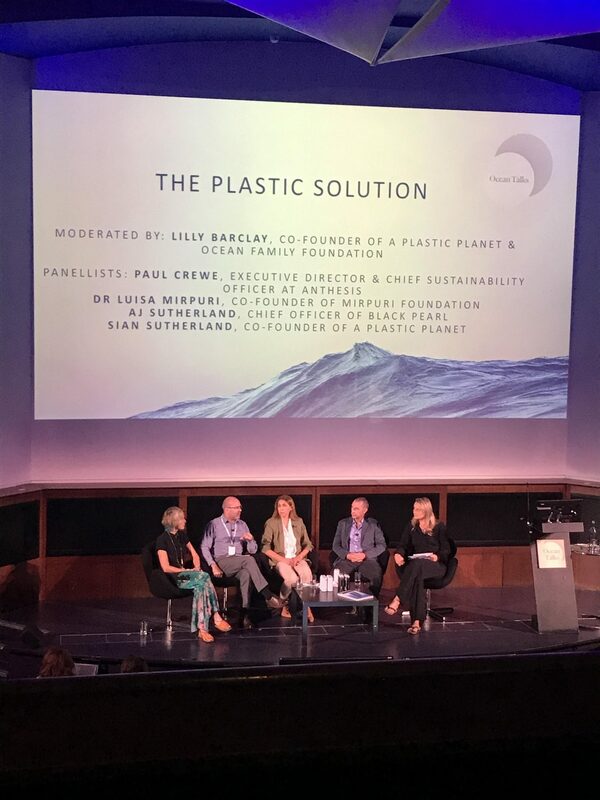 Dr. Luiza Mirpuri, Head of Medical Research at the Mirpuri Foundation, was a speaker at the “Ocean Talks” conference, in London. As a member of the panel gathered to discuss “The Plastic Solution”, she raised awareness for the effects of plastic on human health and the risks to which we are exposed in our daily lives. The debate was moderated by Lilly Barclay, Co-Founder of the organization A Plastic Planet and of the Ocean Family Foundation, and brought together three other experts to assess different paths for reducing the 12 million tons of plastic that end up in the ocean every year. The discussion addressed topics such as the much needed reactions from both citizens and big companies on the issue, and also reflected on the role of recycling as an answer to the problem. This one-day event was held at The Royal Geographical Society in association with the Ocean Family Foundation and originated with the purpose of uniting the super-yacht industry and the marine conservation world, allowing both to exchange stories, share and celebrate successes and learn from each other’s experiences. The programme included several other conferences within the scope of sustainability and ocean protection. As society becomes more conscious of the harms created by this material and its chemicals, there is no doubt that change is more than necessary. The Mirpuri Foundation is honored to participate in such initiatives as they enable the organization to raise the bar concerning the efforts and work required to attain a better and more sustainable world.